The Chart Overview view provides an large scale view of the entire exercise area. This view is opened from the Window/Show View... drop down list (if you can't see it in the drop-down list, click on 'Other' at the bottom of the Show View list, and a dialog will open where you can select from unlisted views). Using it is quite simple: drag a region in the overview and the current plot will quickly zoom to show that area. 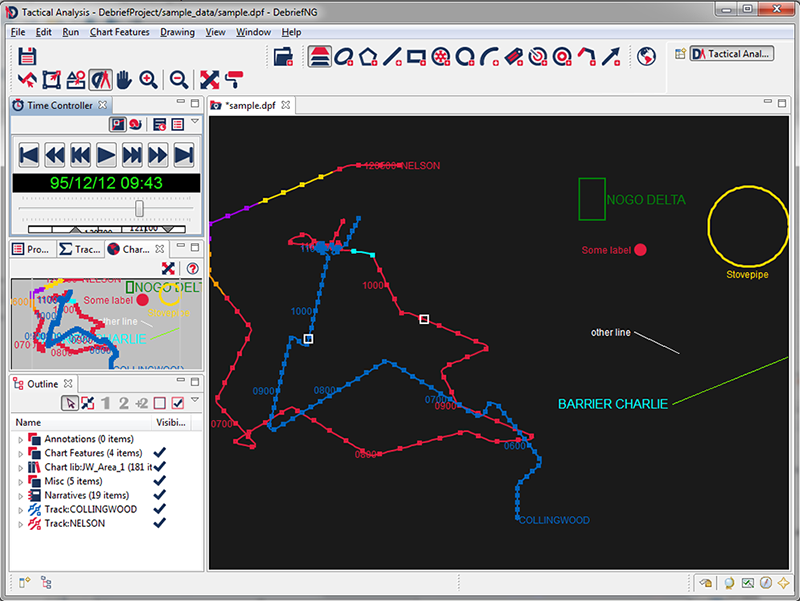 A highlight rectangle shows the current plot view. Once you've zoomed in a little you can double-click in the overview to recenter the main plot on that point.